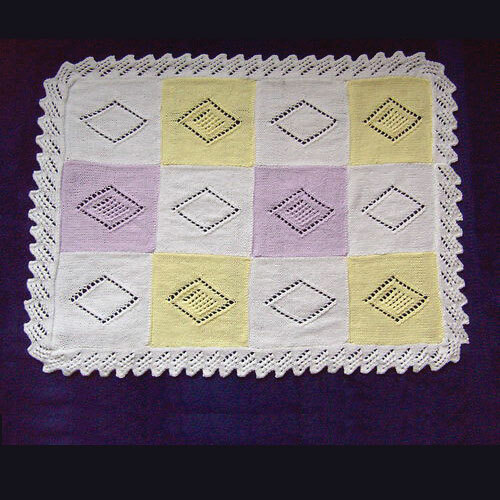 A knitting pattern for a modern baby’s sleeping bag / snuggle sack. The snuggle sack looks like a cute dinosaur, the hat is it’s head and the body is the snuggle sack. 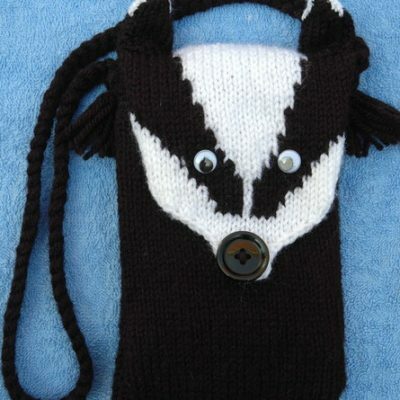 The snuggle sack can be knitted in chunky or double DK. Because you get a better range of colours in DK I used double DK. Don’t forget to check your tensions though as that will make a BIG difference to the size your finished garment will turn out. 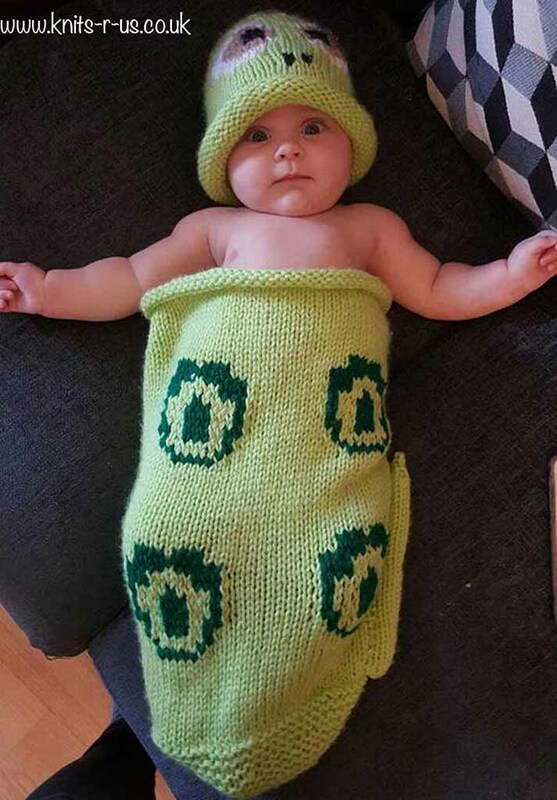 It is not recommended you leave the baby alone when it is sleeping in any sleep sack / snuggle bag. 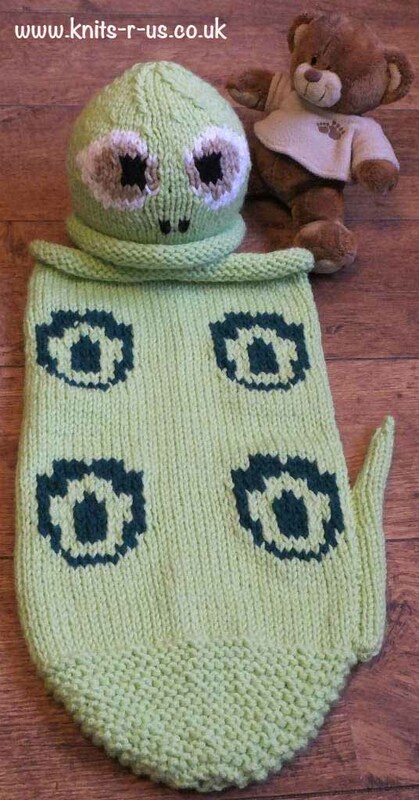 This is a knitting pattern for a baby’s dinosaur body snuggle sack and dinosaur head hat. 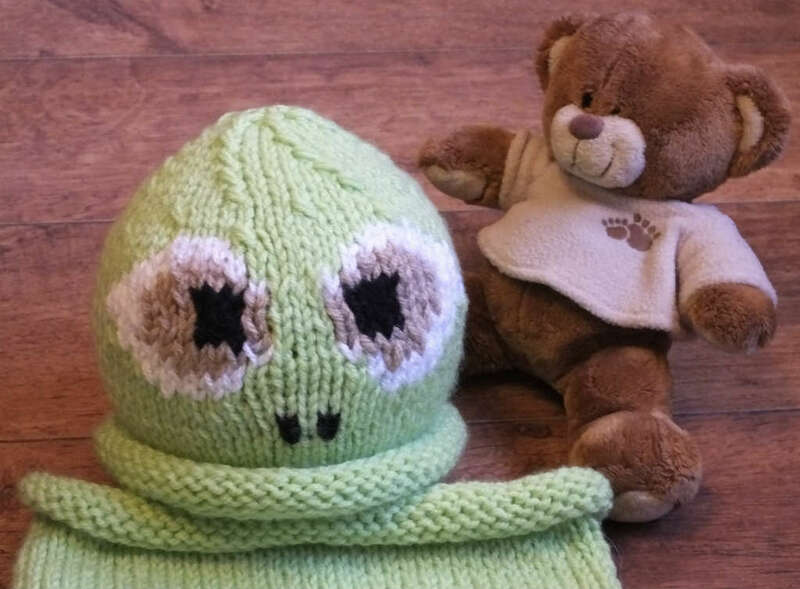 The snuggle sack and hat are knitted flat and sewn up down the side afterwards. 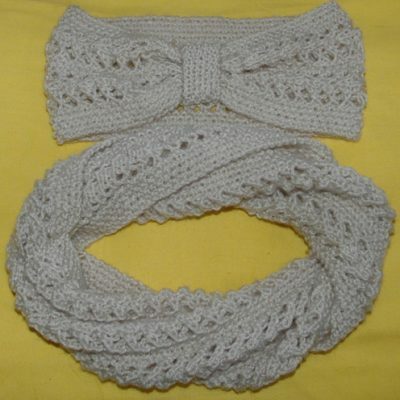 As the snuggle sack is knitted in chunky/double DK it is very thick and warm for the cold winter months. It is not recommended you leave the baby alone when it is sleeping in any sleep sack/snuggle bag.